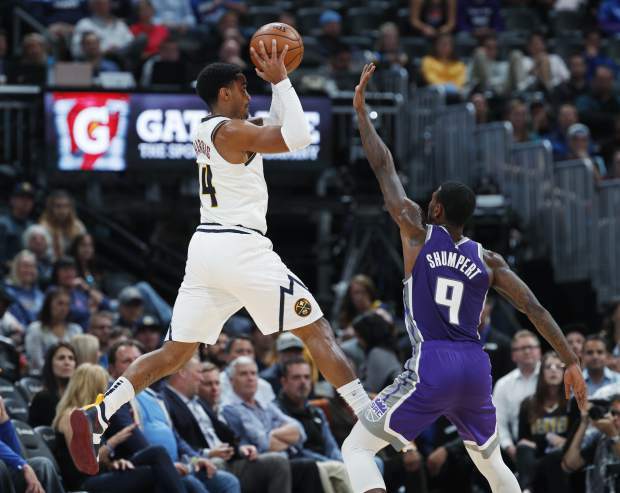 DENVER — Michael Malone wasn’t excited about his Denver Nuggets’ defense Tuesday night, but he acknowledged he was nitpicking a little. Denver’s early defense helped build a 13-point halftime lead that grew to as much as 26 in the third quarter. Jokic, who was named the NBA Western Conference player of the week on Monday, had 11 points and 10 rebounds at halftime. He hit a 3-pointer to start the third quarter and then Murray took over. Kings: Sacramento’s previous low was 117 points in its season opener against Utah. … The Kings are in the midst of playing seven of nine games on the road. … Sacramento was 52.3 percent from the field, just below its season average of 52.8 percent. Nuggets: Former Denver Broncos head coach Mike Shanahan was in attendance. … The Nuggets were 13 of 15 from the free-throw line after missing 18 against Golden State on Sunday. … Eight players scored in double figures.